This aul' cottage was flying it! A few years back I was patching the thatch on the Eviction Cottage in Belcarra and your local scrap dealer asked me to help him out. He and the lads had converted a Toyota Starlet into a beautiful cottage, with red-painted windows, half door, and the hag on the end containing a cunningly-disguised perspex windscreen. 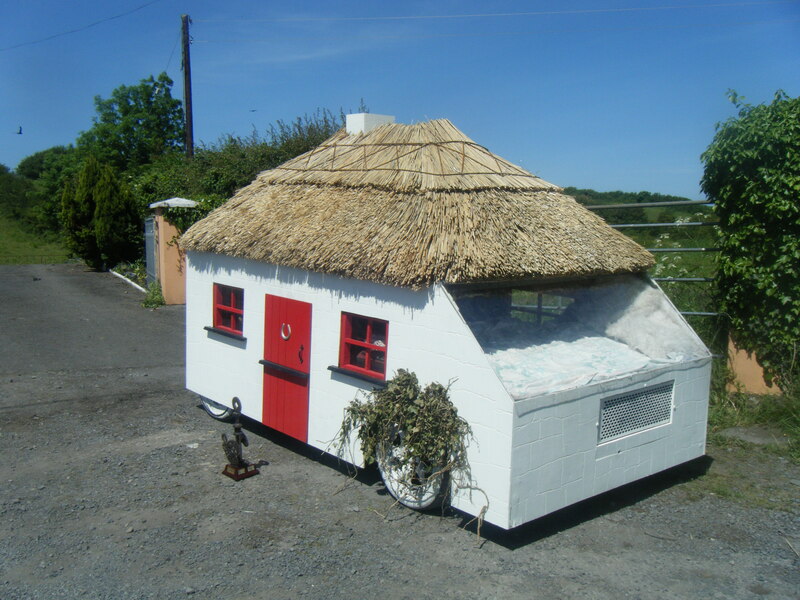 It was entered for the Cloonfad Furniture Race at the weekend; the lads had cut reed from the land behind and tried to thatch the roof. They’d done a good job, but it needed more work – it isn’t as easy as it looks. We met the deadline and the race was won! The way this cottage was set close to the ground, with ivy around the front wheel arch, it looked just like a miniature house, so it was funny to see it suddenly shoot off down the road at 60 MPH.